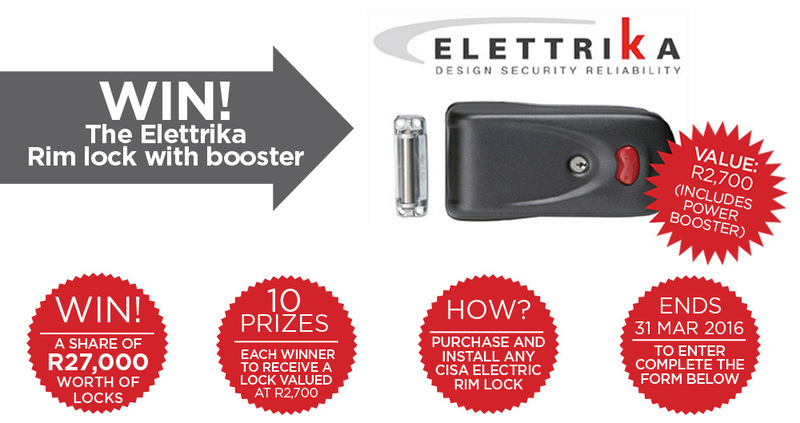 Complete the form to stand a chance to win a CISA Elettrika lock. Each week a lucky winner will be selected. Weekly winners will be notified and their names published on our facebook page. Winners will be required to submit a photo or copy of their original receipt & a photo of their installation.